Report – The English rain delivered a bitter blow to Ferrari’s qualifying aspirations, with both drivers going out at the end of the first session, because the rain intensified just as Alonso and Raikkonen were hoping to improve their times. At the start of qualifying the track was damp but drying. The Scuderia Ferrari drivers took to the track using Intermediates, as did everyone, and set reasonable times. Five minutes from the end, after a quick lap from Jenson Button in the McLaren, it was clear that it was now time for slicks. Both Fernando and Kimi duly fitted them, but as they started their flying laps, the rain intensified and there was no way of going quicker. Fernando might have made the cut to Q2 but he spun off the track, destroying his chances. 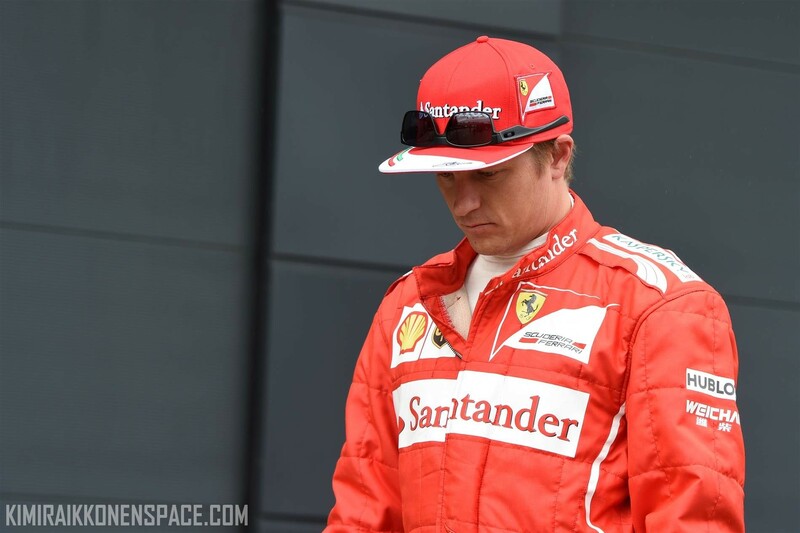 Fernando and Kimi therefore qualified 19th and 20th respectively. Q3 was also affected by rain and pole went to Nico Rosberg for Mercedes in 1.35.766 ahead of Sebastian Vettel (Red Bull,) Jenson Button (McLaren) and Nico Hulkenberg (Force India.) The Ferrari duo will face an uphill struggle in tomorrow’s race which starts at 13h00 local time. However, Raikkonen said he is confident the car is not as bad as it felt during Friday practice, when he was ninth fastest, and would allow him to fight back in the race.